Culinary super star Yotam Ottolenghi has done it again: made me love vegetables. What can I say? I'm a dyed-in-the-wool carnivore. But Ottolenghi's fresh take on vegetarian cuisine never fails to prove me wrong. 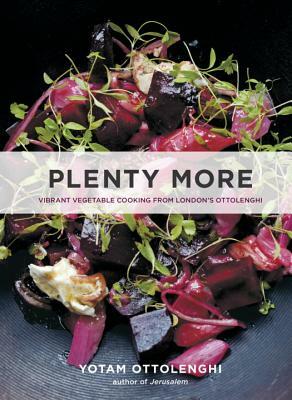 This highly anticipated sequel to his first book, Plenty, shows yet again how to elevate veggies from side dish to main attraction. Whether you're vegetarian or not, you've got to give his recipes a try. Favorite Recipe: Butternut Squash with Buckwheat Polenta and Tempura Lemon - The creamy polenta marries well with the savory-sweet squash, with an added kick from the crispy lemon. Make it weeknight-friendly and swap the fancy fried lemon for a squirt of lemon juice instead.